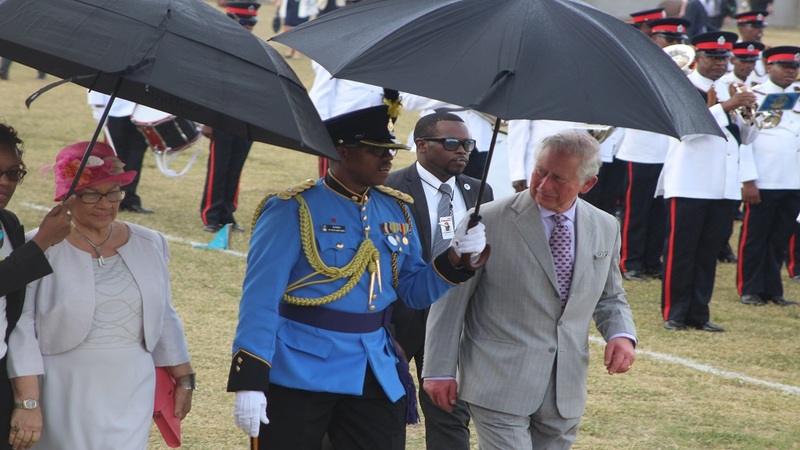 Prince Charles' visit to Saint Lucia to celebrate the islands' 40th Anniversary of Independence was marred for some members of the public, as well as members of the media, who complained about obstructed views of the proceedings at the Phillip Marcellin Grounds in Vieux Fort yesterday. 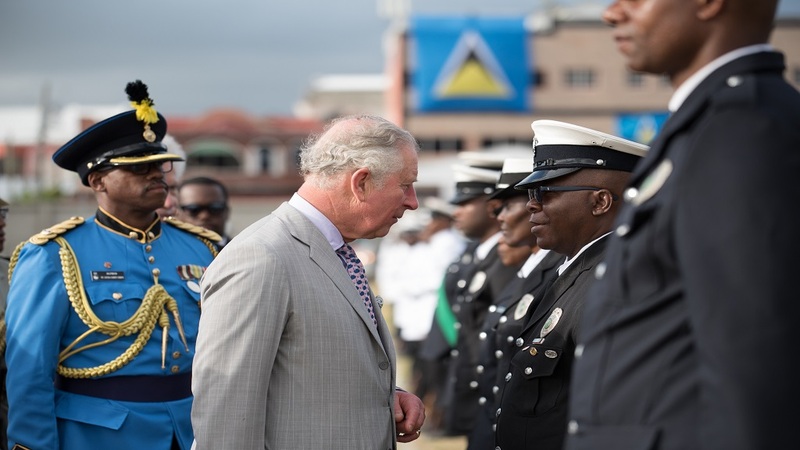 This was Prince Charles third visit to Saint Lucia, the first being in 1989 to celebrate the country’s 10th Anniversary of Independence and the second in 2008 when he visited the scenic town of Soufriere. The third visit did not have as much appeal and crowd enthusiasm as his second visit, both of which were covered by this reporter. Sunday’s visit drew complaints from members of the public who sat in the stands. They claimed that the tents erected at the western side of the grounds blocked them from seeing what was taking place on the field. Many of those who turned up to view the event said they should have stayed home, as their view of what took place on the grounds was blocked by tents erected in front of the stands they were in. The tents were indeed erected directly in front of the stands. The media tent and the VIP tent were directly in front of the stands. Media personnel also had complaints as they were unable to get close up views and photographs of the prince as he inspected the guard, handed Dorothy Phillip her Point of Light Award and during the delivering of his address. This was not the case for the British media personnel who entered the grounds with him and were allowed access to the stage area. Local media personnel were relegated to the tent set up for them which was not strategically placed for proper coverage of the event. Local media personnel were not allowed near the stage, nor were they allowed in front of the VIP tent to take photographs of the prince and other officials present. 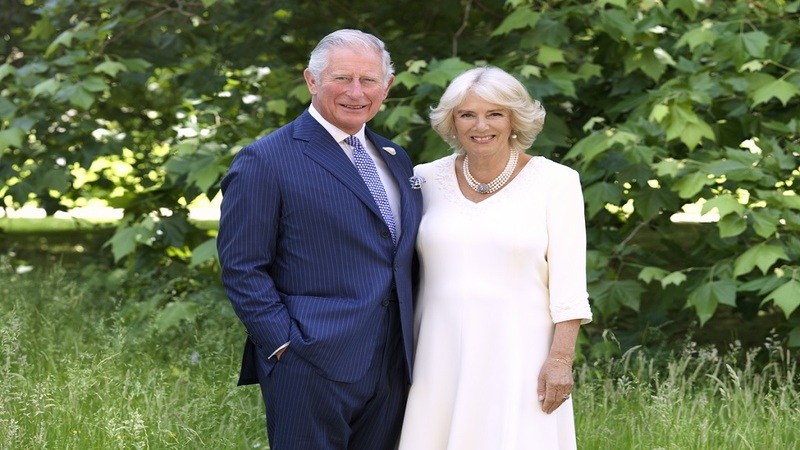 Prince Charles did present an opportunity for a close-up photograph of himself just before he entered his limousine at the end of his less than two-hour stay on the grounds, when he went up to the crowd located near the perimeter of the grounds to shake hands and chit-chat with locals. However, much of that opportunity was frustrated by eager persons with camera phones tripping over themselves to photograph him. 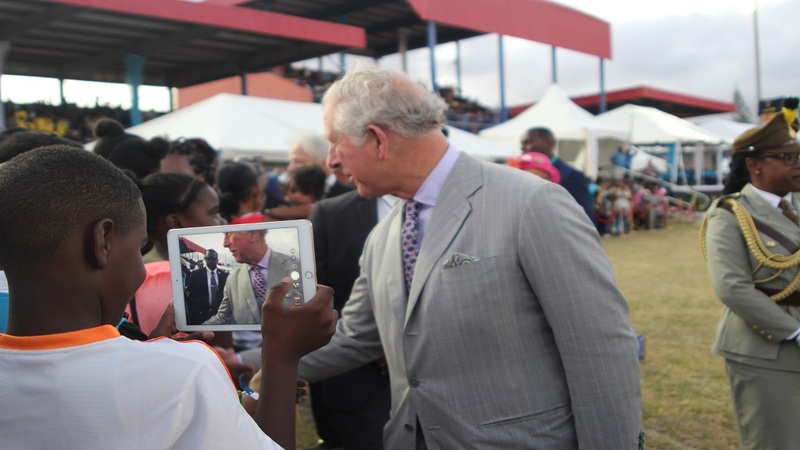 Prince Charles was present at the Phillip Marcellin Grounds for just under two hours. During his time there he tried to focus Saint Lucians attention on climate change, saying there is no greater challenge facing all of us than that of climate change, claiming that it poses an existential threat to Saint Lucia and the region. “I saw for myself the devastation that Hurricanes Maria and Irma wrought in Dominica, Barbuda and the British Virgin Islands when I visited those communities in November 2017. Tackling the truly alarming threat of climate change, and finding some ways of mitigating the risk it presents, is, and must continue to be, a top priority for the Commonwealth. I am particularly pleased to know, therefore, that through the Commonwealth Marine Economies Programme, the mapping of Saint Lucia’s seabed will not only inform our understanding of the effects of climate change, but has the potential to help develop Saint Lucia’s vital Blue Economy in significant and sustainable ways. 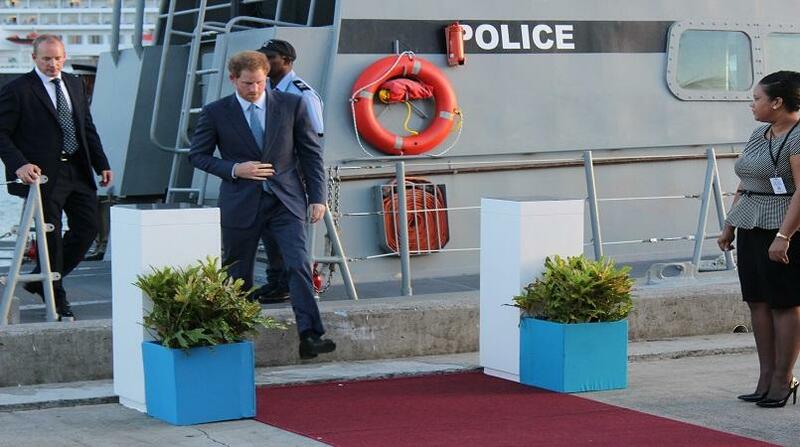 For this, and so many other reasons, I have great hope for the future of Saint Lucia and her people,” Charles said.